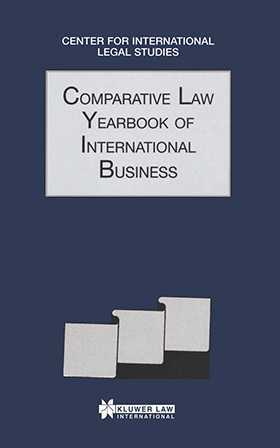 The Yearbook reviews significant legal developments in international commerce and offers an important forum for legal practitioners to address and compare practical legal issues of direct interest in their areas of specialisation. Each volume features a comprehensive range of articles written for and by leading practitioners and advisors working within the international business sector. The company law section addresses subjects such as liquidation, shareholding, and directors' rights and liabilities. Topics covered by the material on general commercial issues include the shipping of goods, timeshare agreements, forfeiture of property, standardized contracts, and intellectual property.